The Bisons cheerleading team got a chance to showcase their talent earlier this month as the squad performed during the halftime intermission of the Winnipeg Blue Bombers’ June 13 exhibition game. The Bomber fans, not typically accustomed to this level of cheerleading, gave a spirited ovation to the Bison team who dazzled the crowd with various pyramids, lifts, splits and flips. Very impressive stuff. The Bison women’s golf team tied for sixth place at Golf Canada’s 2010 Canadian University and College Championship in Fredericton, N.B. this month. The team missed the third round cut, falling 11 shots behind fifth place, held by University of Alberta. At the same tournament, the men’s golf team earned a ninth place finish after moving ahead four spots to make the third round cut. The tournament, originally scheduled to run May 31-June 3, had to be cut short when the fourth and final round was cancelled due to weather. Late last month, the Calgary Stampeders announced the signing of free agent running back Matt Henry. Henry completed his fourth season with the Manitoba Bisons last year, compiling over 600 rushing yards and leading the team in rushing. 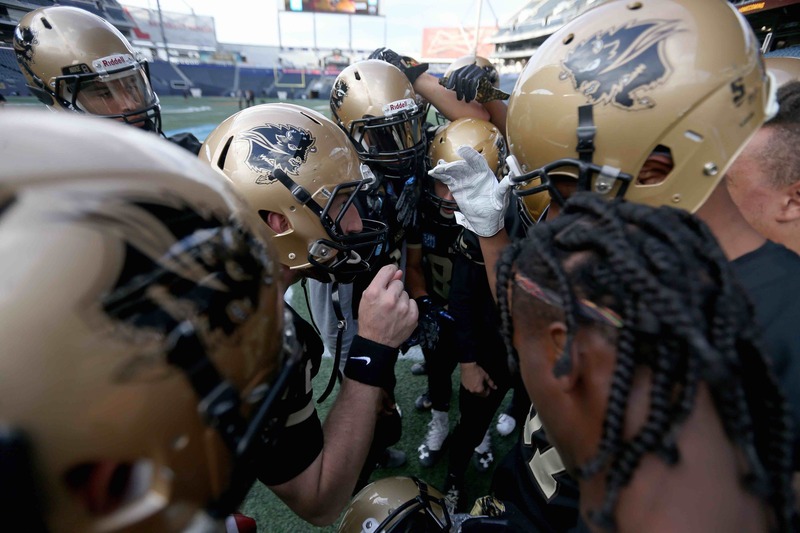 Outside the world of Bison sports, the University of Waterloo announced this month that the school is suspending its football program for the 2010/2011 season following one of the biggest steroid investigations in Canadian university history. Student athletes at Waterloo gathered to attempt a compassionate plea for leniency but when the deadline for player transfers passed on June 18, the school administration stood firm on their ruling. Of 62 club players, nine were found to be using banned substances. Waterloo athletes who did not test positive for banned substances have been granted permission to transfer schools before the start of the football season.